Our clients are very nice, down to earth people, they tend to lean on the modern side but in this particular project, we focused on bringing everyone’s design aesthetic’s together and reflecting it in the space. 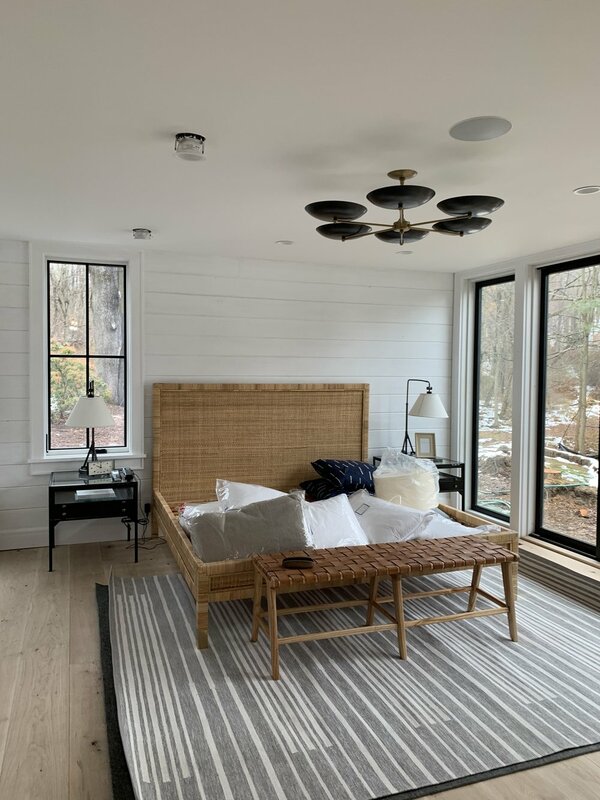 The client’s dad was the builder in this project so a lot of love and labor was poured by him to make this home come alive! They wanted a place for the whole family to get together which includes siblings, their kids, and grandparents. They also wanted a working farm for their kids to learn about responsibilities and care for animals. 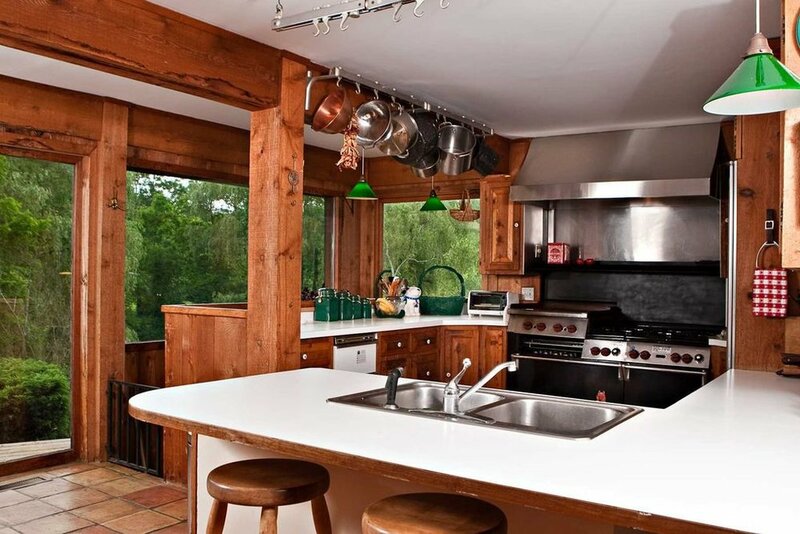 This home is actually an old ski lodge with about 60 acres of lush greenery and pond views. They needed a full remodel. Their goal was to incorporate as much seating as possible, because they love hosting parties and entertaining guests. They needed the house to be approachable, liveable, and have enough beds for family and guests to stay and enjoy the home! Because they have amazing views of the mountains, trees, and ponds, they really designed the house to have lots of windows and glass doors. 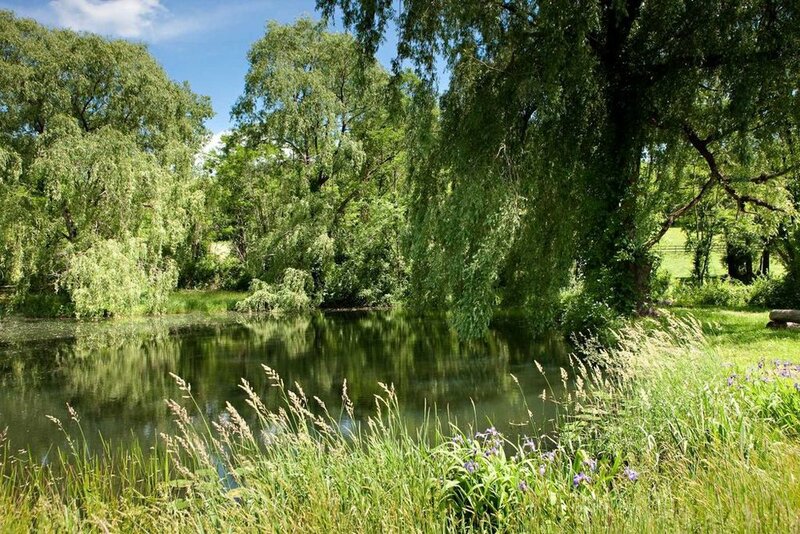 In every room, you are able to enjoy the surrounding views. The ceilings on the first floor were actually very low so we focused on bringing personality by adding wall treatments. 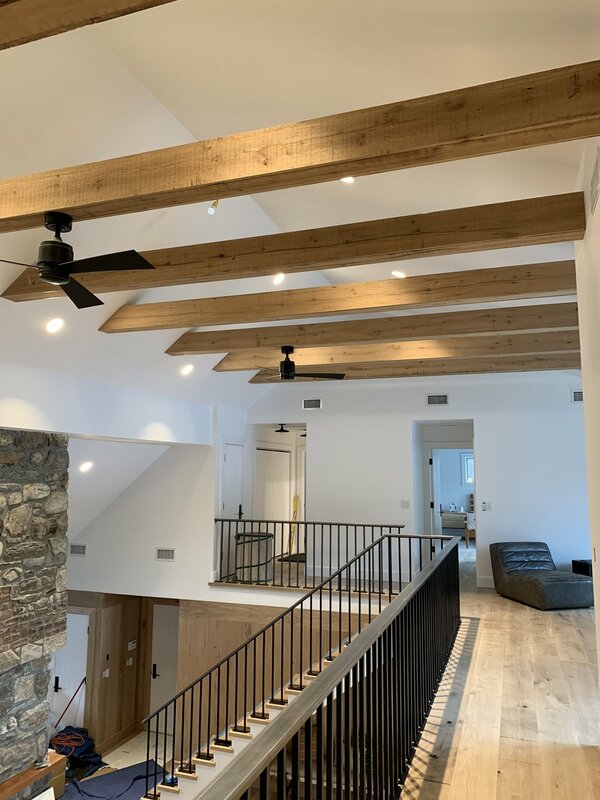 We also added wood beams that paired beautifully with a barn wood ceiling detail that was original to the home. 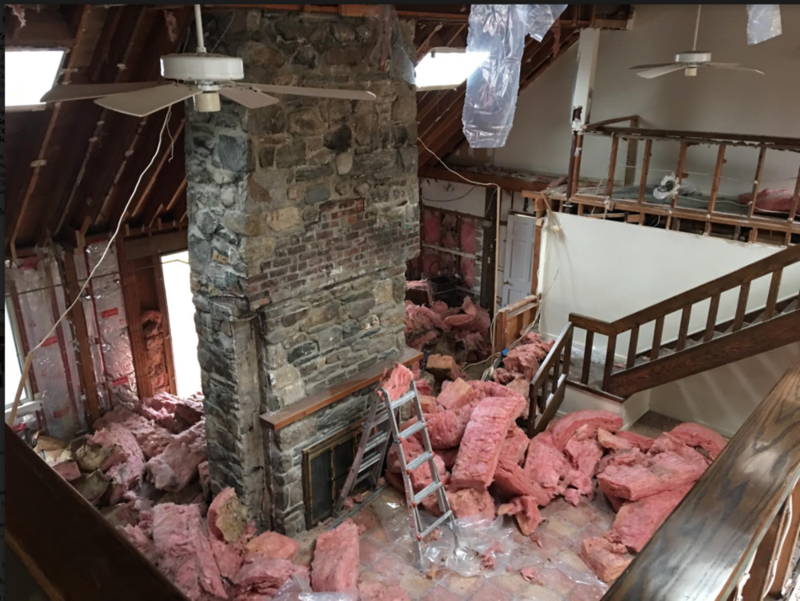 We decided to keep the existing fireplace and stone along with the existing wood mantel. The clients wanted to keep a little bit of the history of the existing home and we were glad because it brings so much character! You plan to have the best install every time. As much as you are prepared, there are things you cannot control!! For example, one of the beds arrived in the wrong color. We were waiting for a beautiful wood bed with leather back cushions, however, it arrived PINK! When we arrived, cabinets, hardware, and countertops were still being installed. People were running everywhere, from the cleaning ladies to the handyman installing robe hooks, everyone was on top of each other trying to get things done to have the home ready for Thanksgiving day. The family had invited 40+ people and were planning to host the whole weekend!! 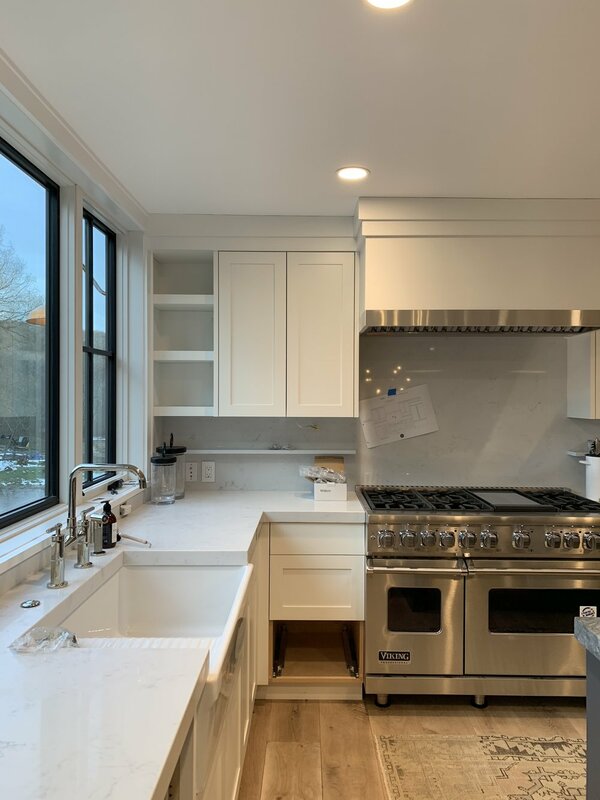 If you look closely underneath the upper cabinets, you’ll see we have added floating marble shelves with a metal railing to use for condiment storage and styling! All the bedrooms have their own personality! Whether it is the wall paneling design, ceiling design, or furniture, they are all very unique yet they feel cohesive!! When you think of a farm your mind instantly goes to a white exterior home with black windows. We wanted to bring a dramatic twist by going dark in the exterior. The clients love a modern look so we are glad they were up to the challenge! They stained the wood to a black color, then decided to do exterior black doors/windows and copper gutters. We love the patina and character it will bring to the home! When we got the original elevation of the home, everything looked clean and modern. We wanted to add a cozy detail, so we decided to add a small porch. We changed the front facade material to a stone- it matches the original fireplace stone and we love how it turned out!! There are 2 bunk rooms on each side of the home in the 2nd floor where the kids will be sleeping! Because they were having a party that weekend and people were staying over, we had to set the mattresses and make the “beds” without the actual built in. I think it still looks cozy if you ask us!! The powder bath sink! 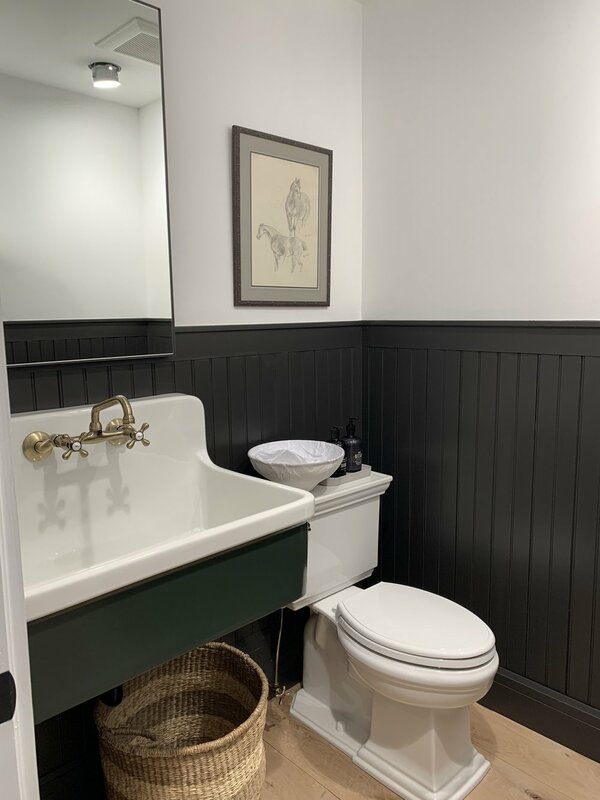 We used a vintage inspired sink, with a green tone to it and it’s amazing! The family loved it so much. It’s big, spacious and I love the dark contrast of the walls in this space.